It has been a great start to life in England for Chelsea manager Maurizio Sarri. He has turned Chelsea from a counter-attacking side into a side that plays quick possession-based football and has won all of his first four games in the Premier League so far. While there has been a lot of focus on Sarri the tactician, not a lot of people have talked about the Italian’s man-management skills. The 59-year-old has reportedly become quite popular among the Chelsea dressing room already after loosening some of the strict rules implemented by Conte’s regime. Some Chelsea players have also talked about how they are loving life under the Italian so far. 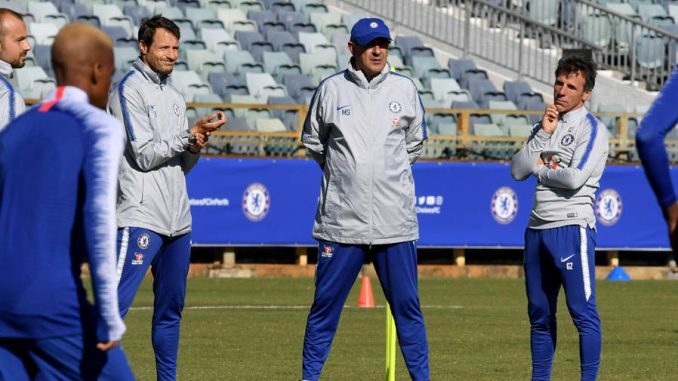 Sarri’s closeness with his players was there for all to see, as he and his coaching staff greeted Chelsea’s international players reporting back to duty. One player in particular, teenager Ethan Ampadu really felt the manager’s love on his return, as Sarri embraced him lovingly on seeing him. The 17-year-old midfielder had a great week after new Wales manager Ryan Giggs handed him starts in both games against Republic of Ireland as well as Denmark. It was clear that Sarri and his coaching staff also took pleasure in the teenager’s achievement. 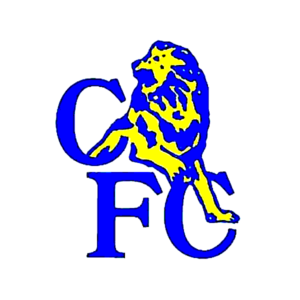 With both of Chelsea’s previous managers Jose Mourinho and Antonio Conte rumoured to have fallen out with some players in the dressing room, it bodes well for the club that Sarri seems to be taking a different approach so far. 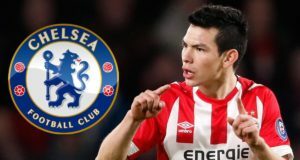 Previous articleDeadly: Sarri will demolish Cardiff City’s defence if he picks this Chelsea attack – Agree?